“Our first flagship sour, Black Angel Cherry Sour has inspired a series of “Angel” Sours. 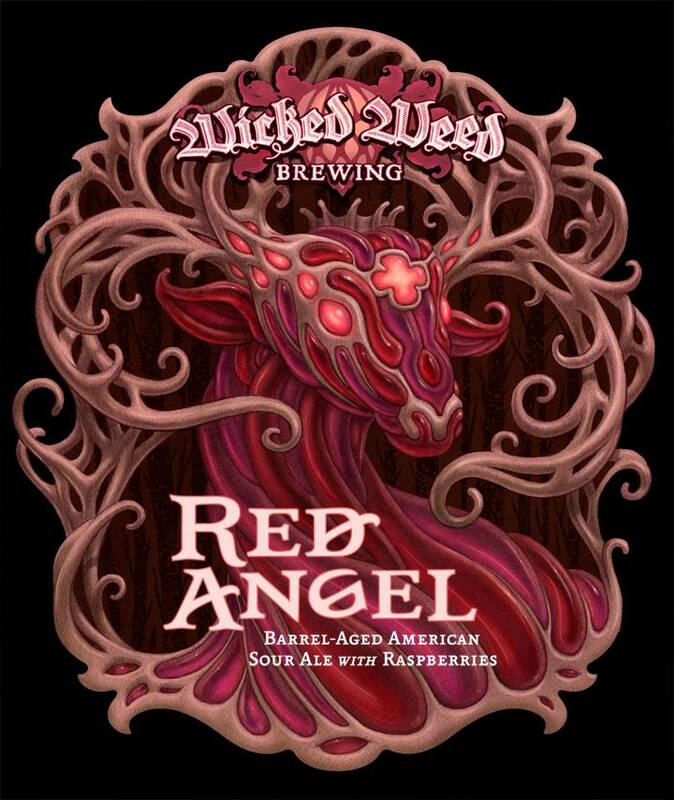 Red Angel, Gold Angel, White Angel, and The Angel of Darkness are set to release throughout 2015 as a limited series of sours. These beers represent our journey of learning to craft sours the Wicked Weed way and are the most dynamic, fruit and age intensive beers we have crafted to date. The first release of the series, Red Angel, is set for late March. As the name indicates, this vibrant, blood red sour ale received 1.5 pounds of fresh raspberries per gallon and was then carefully aged in red wine barrels for nine months. After this barrel-ageing period, the beer was blended onto another pound of raspberries per gallon totaling one ton of raspberries and eleven months of ageing. We took inspiration from the clean side practices of dry-hoping IPA’s and added fresh fruit late in the aging process. The result is a full complexity of core fruit flavors with bright fruit character. If you know our beers imagine Framboos and Black Angel had a love child.